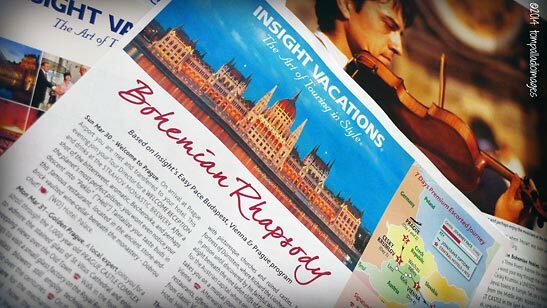 My band of merry media and I  a cadre of journalists, bloggers, social media experts and photographers invited along by Insight Vacations (Insight) to sample a portion of its Bohemian Rhapsody journey through Prague, Vienna and Budapest  are literally on the clock as we pound the cobble of historic Praha as fast as we can in order to get underneath a real timepiece. 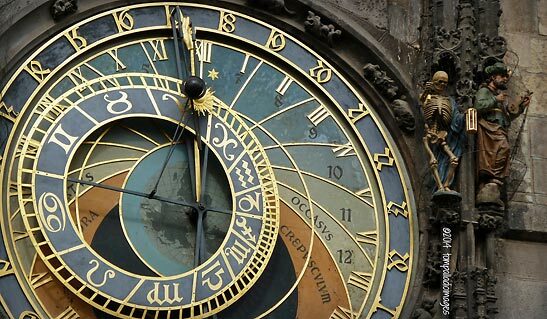 Well, we only have a handful of minutes to hustle over to Staroměstské Náměstí (Old Town Square) and join the masses already poised just below Pražský Orloj (Prague Clock), the world's oldest, fully-operational astronomical clock, before it reawakens and announces high noon. Whew! We made it with time to spare, about 180 seconds. 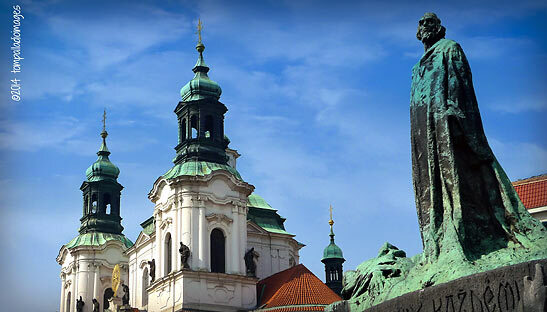 Located equidistant from Wenceslas Square and Charles Bridge, Old Town Square has a "school's out" atmosphere and features a cornucopia of architectural styles, like the Gothic Týn Church and the Baroque St. Nicholas Church. Here, in one of Europe's most beautiful squares, there's plenty to do. You can spend quality time at the Czech National Gallery inside Kinský Palace. Gaze up at the statue of Jan Hus, a religious reformer who was burned at the stake. Or, count out the crosses etched in the square's pavement, 27 in all recognizing those brave Bohemians beheaded by the ax following the Battle of White Mountain in 1620 against the Holy Roman Empire during the bloody Thirty Years War. If the history's a bit heavy to your liking, Old Town Square offers lighter fair, too, with its many impromptu street performers and musicians, not to mention all of the open-air cafes and restaurants just waiting to show you to your table. But the main attraction, the one that draws the crowds at the top of the hour each and every day, is the 600+ year-old Prague Clock and its fascinating mechanical performance. 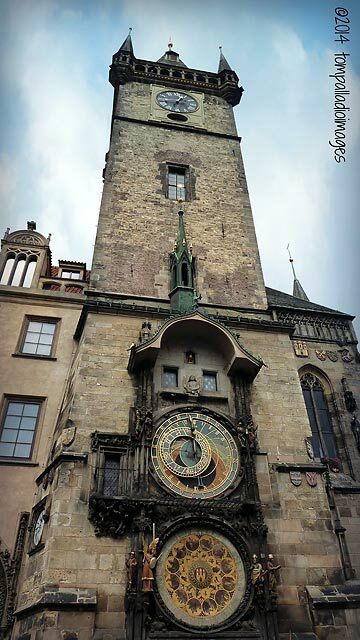 It's the third oldest astronomical clock in the world and the oldest of its type that's still fully operational today. Considered one of of the wonders of the world during the Middle Ages, the Prague Clock was mounted on the southern wall of Old City Hall way back in 1410. The clock mechanism itself is composed of three main parts. There's the Astronomical Dial, indicating the position in the sky of the sun and the moon. The "Walk of the Apostles," a parade of the dozen disciples and other moving sculptures, including Death, represented by a skeleton, as the medieval timepiece strikes the new hour. And, the Calendar Dial with its medallions noting the months of the year. According to local legend, the capital city of the Czech Republic will suffer great harm if the Prague Clock is ever neglected and its hourly wakeup calls placed in jeopardy. I really don't see that ever happening, because, like a modern-day Timex watch, this old gal has taken a licking, but keeps on ticking. 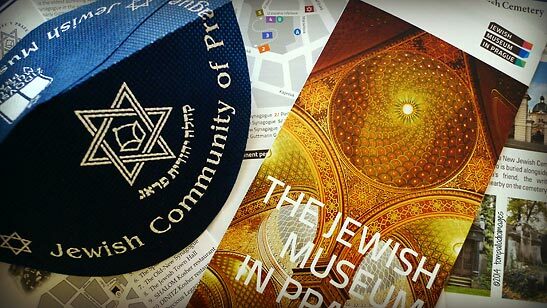 Let's break for lunch and then we'll meet back here under the clock as Jaroslav, Insight's local expert, leads us through one of the darkest chapters in Prague history as we take a walk around the Jewish Ghetto.